When it comes to cocktails, most people probably focus on the alcohol that goes into them. While alcohol is one of the major components in cocktails, you can take yours to the next level by adding various ingredients. 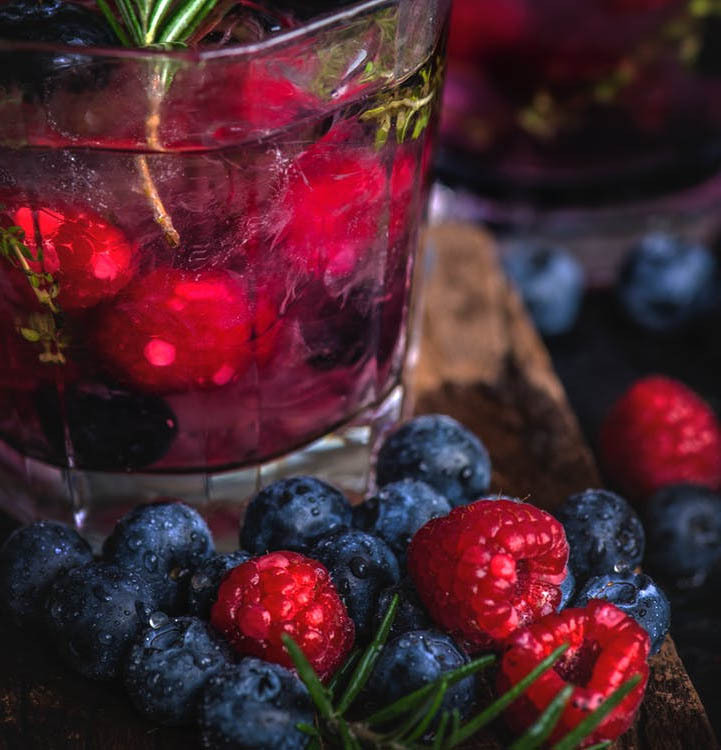 Things such as garnishes, rims adornments, herb infused syrups, and bitters can dramatically change the taste and flavor of a cocktail. However, herbs remain the most underrated when it comes to mixing cocktails. The good news is that you don’t have to be a connoisseur of drinks to come up with a great herbed cocktail or mocktail drink. Here are some of the herbs you can add to cocktails and how to go about it. Cool and refreshing, mint is one of the most commonly used herbs for cocktails. It’s soft, sweet and creamy, with a tinge of lemon, making it a great addition to cocktails. You can blend it with lavender for a floral accent, or lemon mints to give the drink a citrus taste. Lightly crush the delicate leaves into mojitos and juleps to release their oils. You can also pair perennial mint with berries, melons, gingers, and peaches. When added as a syrup, this combination gives any cocktail a sweet kick. of the variety, rosemary offers a rich, pungent and warm flavor, which adds zest to citrus, apples, pears, and berries especially when combined with sparkling wine, gin or vodka. It can be added muddled or whole, to give your drink pronounced depth. Rosemary will definitely enlighten your average tonic or gin. Lemon verbena is also a great addition to cocktails. It lends you drink a bold and floral citrus flavor. It’s best used in fruity cocktails, sangrias, lemon drop martinis or vodka lemonades. 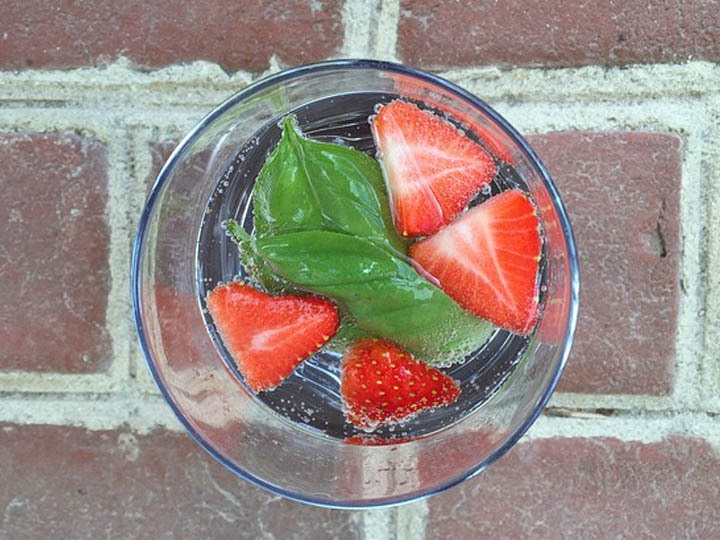 There are multiple types of basil used in most cocktails – sweet, tulsi and lemon basil to name a few. Sweet basil delivers a full, complex and sweet flavor while lemon basil comes with powerful lemon flavors. Thai basil has a distinct licorice flavor. It works best in drinks that have a mint flavor. 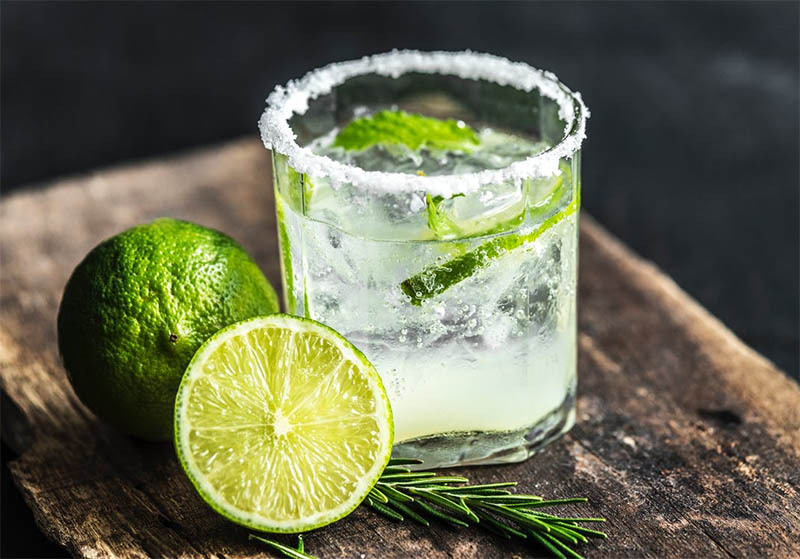 However, you can also use it with rum or tequila-based drinks such as daiquiris, margaritas, fruity martinis, planter’s punch, and vodka or gin gimlets. Garnish, muddle or just use in syrups to give your cocktail a different taste and flavor. Japanese or Thai basil is also a commonly used herb in cocktails. It blends well with anything with mint although it will give your drink a light peppery flavor. 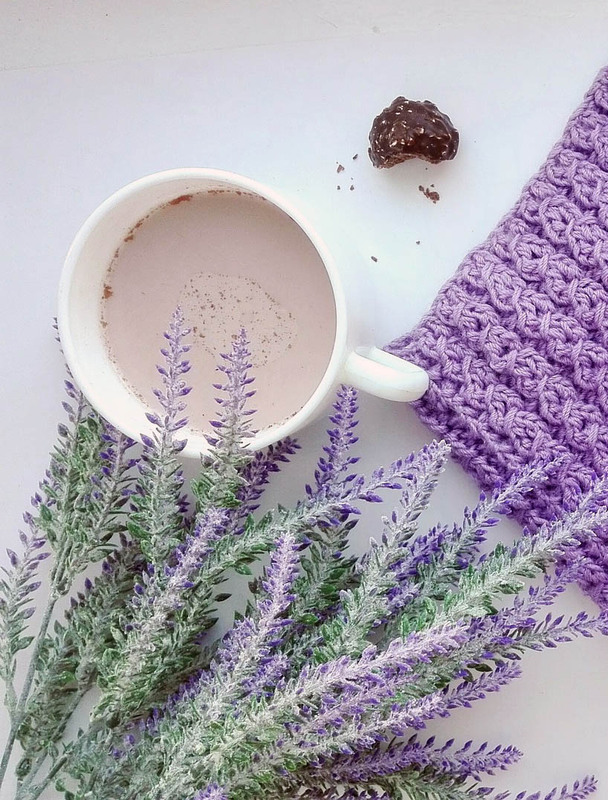 Woody and floral, with flavors similar to rosemary and mint, lavender is a wonderful and distinctive addition to any cocktail. It can be used on lemony drinks or sparkling wine. Lavender is best prepared in syrup form. It will give your drink a taste of springtime, especially when used in vodka or gin. Dill is a perennial herb, which has been used in cooking and medicine since the Roman period. Both the seeds and the fronds of dill plants can be used in cocktails. Its distinctive aroma mainly comes from carvone – a chemical that is available in a positive and negative form. Dill offers a delicately tangy, slightly sweet and grassy flavor which gives vodka a heavenly taste. Some of the popular cocktails containing fresh dill herbs include The 866 and Freeside. Cilantro is a zesty herb found throughout Mexican and Asian cuisine – a small and delicate plant that has many culinary uses. This bright and spicy herb has been used for many years in different culinary environments. 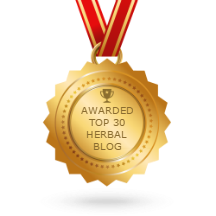 Just like many herbs, Cilantro features powerful antioxidants. Apart from treating diabetes, cilantro lowers cholesterol levels and relieves insomnia and anxiety. As you can see, it’s a great herb to add to include in your cocktail. It can be used to replace mint in mojitos, thanks to its sweet and sour taste. You can also use it to flavor your margaritas and martinis. 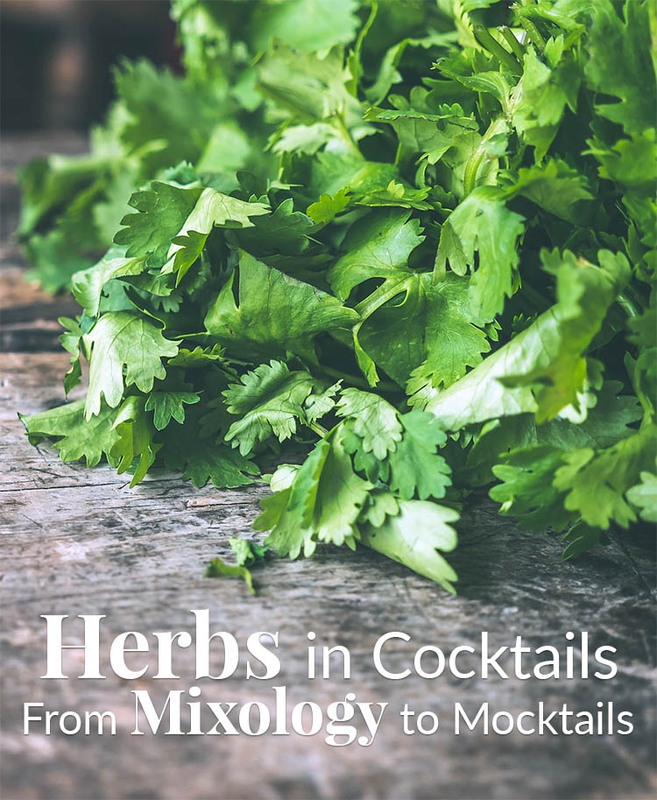 across bartenders muddling herbs as if their life depends on it. Well, that approach is wrong. Crushing mint long and hard will make it become vegetal and earthy while leaving it smelling like grass instead of its preferred flavor. Instead, it’s advisable to tap the leaves lightly with a muddler. As you do this, the oils present in the leaves will be released slowly while preventing damage. The same approach should be used for all herbs if you intend to use them in cocktails. 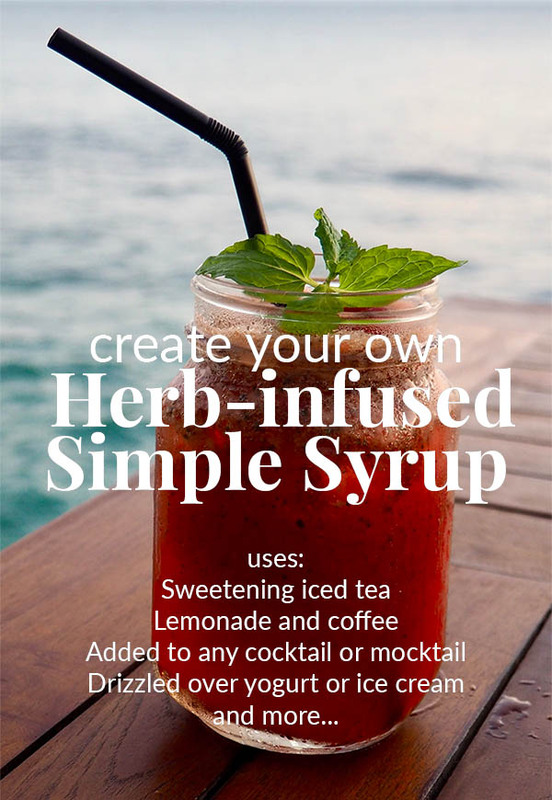 You can also prepare simple herb syrup by blending cooled sugary water with dried or fresh herbs. Keep the herb syrup in the refrigerator and use it whenever you want to prepare a cocktail. There is no reference point when it comes to adding herbs to cocktails. In fact, mixing cocktails is more of an art. It thrives on creativity. However, some pairings work best as compared to others. As for mint, it can be used in any drink, since it’s more of a universal herb. As for the others, it’s advisable to use this formula. Mix rosemary with citrusy and sweet drinks. Basil works well with light spirits such as gin. As much as some people complain that cilantro has a soapy taste, it delivers a full flavor if you do it right. Combine it with tequila to get the best out of its tropical vibe. Add dill to vodka to give it a wonderfully fresh taste. Don’t limit your cocktail to just one herb. Instead, try combining two or three different herbs to give your cocktail an interesting profile. For example, you can try muddling tarragon, fresh basil, mint, and cilantro for a refreshing and herbaceous flavor. If you don’t love the idea of little green materials floating on your cocktail, then you just need to double sieve the herbs. You also need to think seasonally. It’s not advisable to add herbs to your cocktails for the sake of it. Instead, season and weather should play a big role in what you choose. 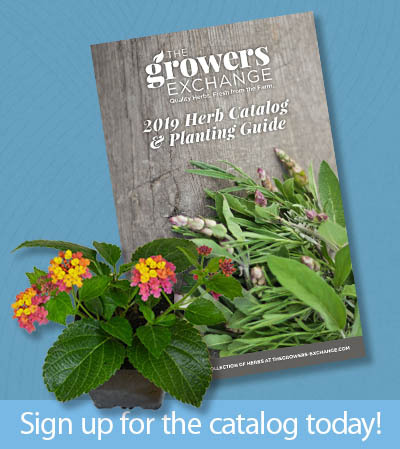 Rosemary works best in winter, while fresher options such as cilantro are suitable for summer. You left out lovage, which can pair well with gin!